9/21 — 4-6PM @ Berryessa Library, San Jose, CA. Come kick it with us on Sunday, September 21 to honor the legacy of those who fought against martial law in the Philippines 42 years ago. 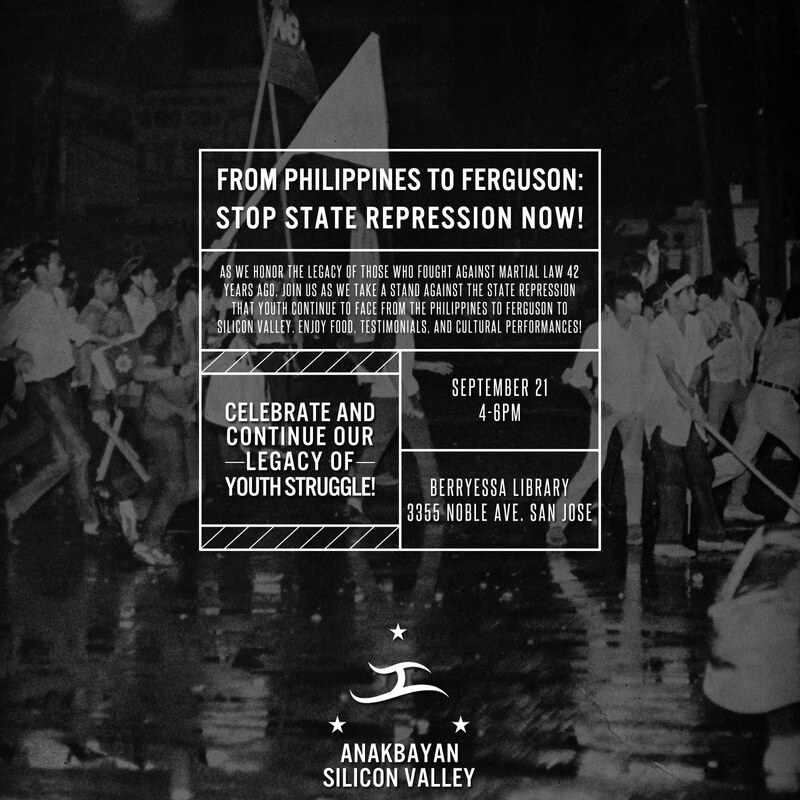 From Philippines to Ferguson to Silicon Valley, we’ll discuss how we can take a stand against state repression! We’ll have food, sharing, and cultural performances too! We’ll discuss how lessons learned from martial law are still relevant today. We will focus on issues such as educational violence and state violence in Ferguson and Palestine. All are welcome, and attendance is free!